We Are The Rhoads show a new side of Kendall and Kylie Jenner – Kendall-Jenner.net • Your best source for all things Kendall Jenner! The Jenners are always camera ready. If they’re not on set, they’re being chased by the paparazzi and the Rhoads are sensitive to that. It’s a reality of the situation. Logic would say that getting an authentic and effortless image out of people who are heavily photographed would be a challenge. But that’s only if you’re trying to force it. Chris and Sarah work face to face with their subjects so that artifice can fall away instead of lacquered over. “I think whenever you’re photographed a lot then it’s nice to find a way to introduce something new to the talent,” says Chris. “Obviously there’s the direction that you’re giving and the environment and the energy exchange. But even something as simple as pulling out a camera that they might not be used to tends to elicit a different response and break down walls.” That’s exactly what they did. Over the course of a very busy day Chris and Sarah reached deeply into their camera collection and photographed the Jenner sisters in all sorts of different mediums. From Polaroid to Roloflex to a Land Camera, they were able to explore these different types of photography and bring the Jenner sisters along on the journey that allowed the girls to open up through curiosity. It ended up being the precise tone to build the perfect working relationship. “They were really open to working spontaneously which is always really fun because then we can go with the flow and collaborate.” That collaboration came together to make something that Sarah and Chris are ultimately very proud of. 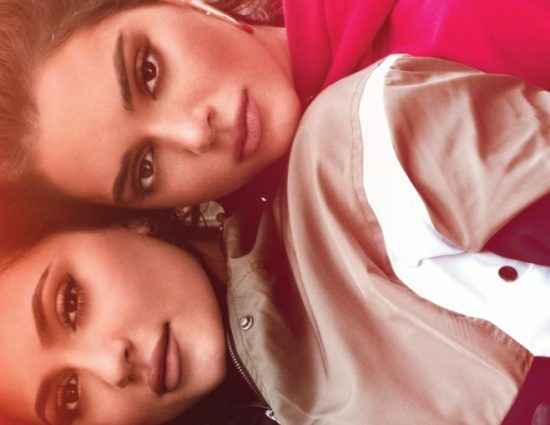 When they are able to dig down deep and work with their collaborators like they did with the Jenners, the results always reach beyond expectations. It’s the work of getting to know one another and foster a healthy, creative atmosphere that offers the best results. It allows their subjects to open up and show a different kind of face, a more honest face, a truer face. A face that, perhaps, we don’t get to see as often. “Anytime we’re able to get truly honest portraits that are representative of who we are and also pulls out something honest and authentic in our subjects: that’s a really satisfying feeling,” says Chris. The result of true collaboration reveals something new in each artist and this is what Chris and Sarah found in Kendall and Kylie that we’ve never seen before. Next PostModern Muse: Kendall Gets Cloned!